I have a dream. It involves my family and I on a beach holiday over March Break (with two school-aged kids, and a husband who works for the school board, March Break is kind of a deal in our home). It’s good to have dreams. And then there’s reality. Home improvements. Trips to the dentist. A new windshield because the snowplough in front of me threw up a stone. Not really wanting to spend our break on a busy beach with hundreds of other families fighting for a spot in the sun. This year, instead of lamenting the fact that we’re not going anywhere, we are planning a Kingston Staycation. You know, visiting all those places we say we’d like to check out. And never do. Brace yourself Kingston, The McShane’s are coming to town! After a hard weekend of preparing for the week ahead, we’ll start with a morning sleep-in. Oh, wait — we have young kids; scratch the sleeping in. 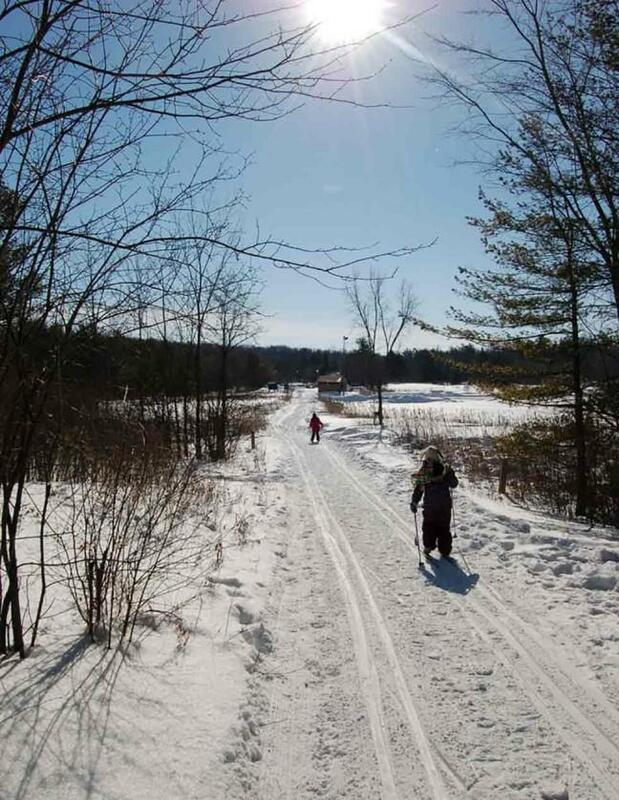 Instead, we’ll head over to Little Cataraqui Creek Conservation Area for a ski (or hike, depending on conditions!) and check out their annual Maple Madness. 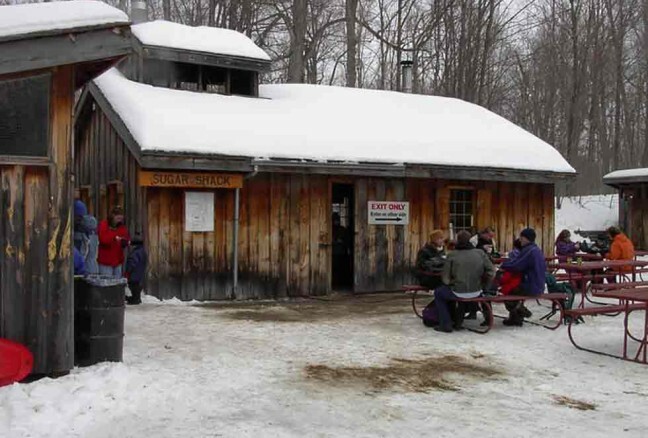 We’ll check out how maple syrup is made, feast on pancakes and feed the chickadees. 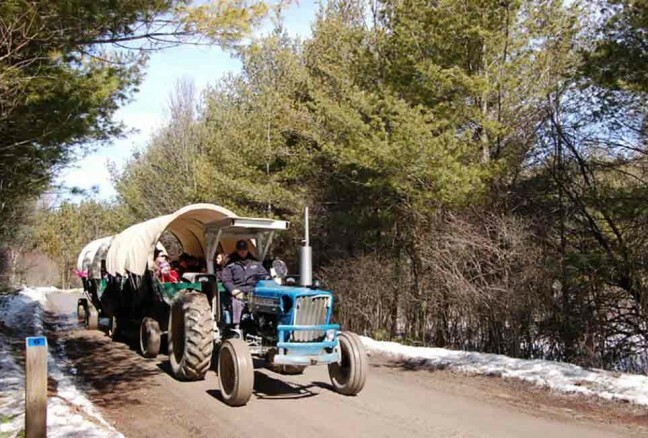 Maybe partake in a wagon ride too! 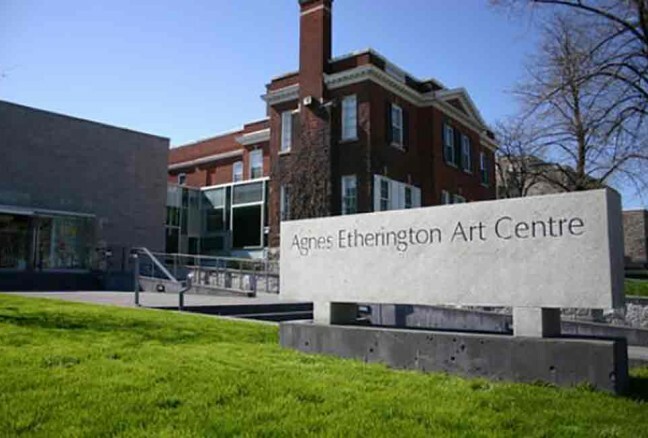 First, we’ll head over to Queen’s University and take a tour at the Agnes Etherington Art Centre. After that, we’ll head over to the Miller Museum of Geology (which will make my budding paleontologist and rock lover super happy). Once we’ve had our fill of art and fossils, it seems only right to treat ourselves to lunch around the corner at Juniper Cafe! One of the best places in Kingston to experience some art! After the second cup of morning coffee, we’ll head into town. 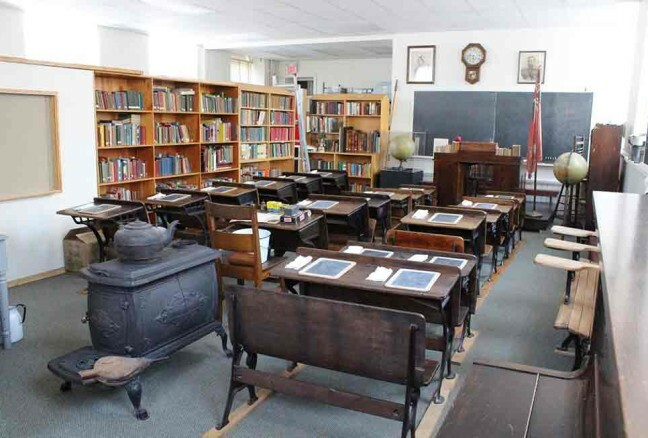 Our first stop will be in Barriefield to check out the Frontenac County School Museum. After we tour the small museum and reflect on how it was to be a student in the early 1900s, we’ll head back over the LaSalle Causeway (Fun Fact: the lift bridge was designed by Joseph Strauss who also designed the Golden Gate Bridge in San Fransisco). We’ll burn some energy enjoying a swim at the RMC pool which will make us hungry; we have recently discovered that The Iron Duke on Wellington has a great, well priced (if secret) kids menu! We’ll end the day with a climb at the Boiler Room climbing gym (we’ll wait until after 4pm due to the March Break day camp). 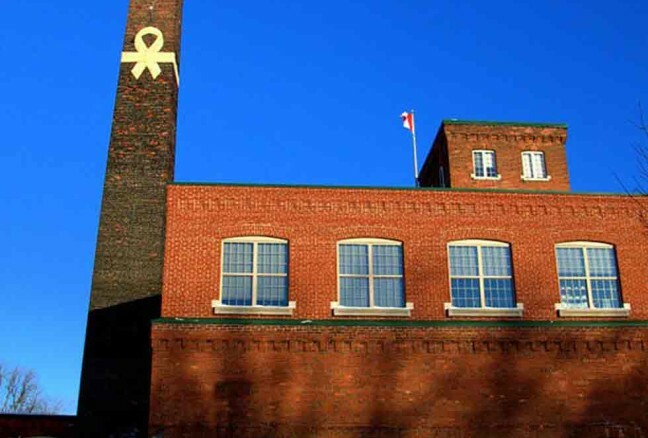 Housed in the old Woolen Mill, The Boiler Room features Canada’s tallest indoor climb through the historic chimney. Check out another Kingston Lobby contributor’s experience at the Boiler Room! 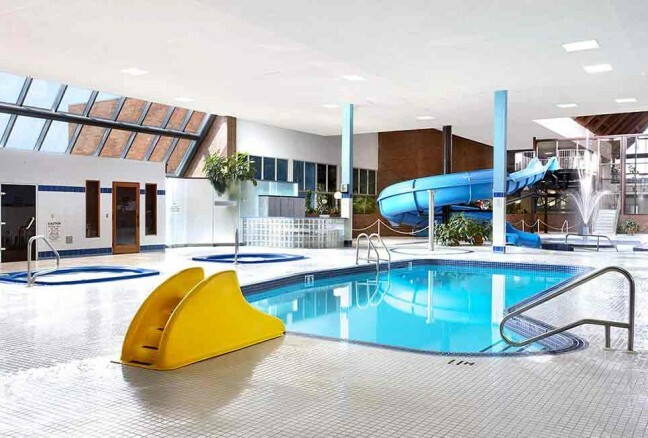 We can’t wait to splash around in here! 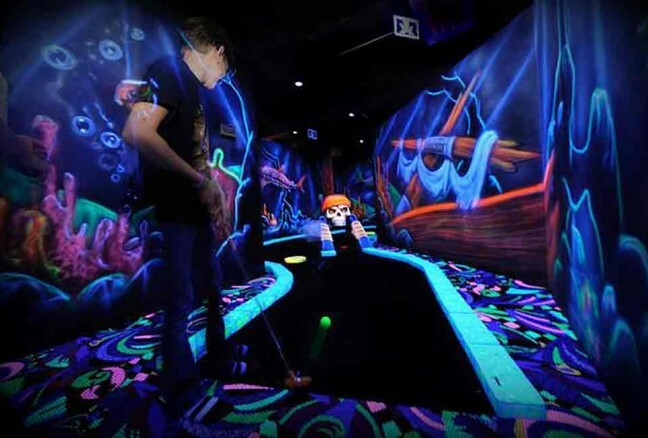 After a hotel breakfast and a final visit to the water park, we’ll head over to Putt N’ Blast for a round of mini golf and perhaps a game of laser tag. And to wrap up? All you can eat sushi lunch at Sima Sushi before heading back home. I think we’ll need the weekend to rest up from our Kingston staycation. 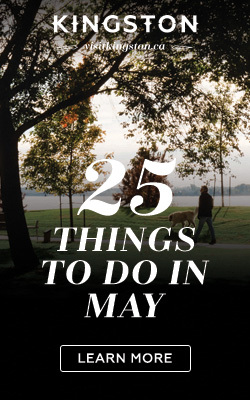 Maybe one night during the weekend my husband and I will take advantage of the free babysitting service offered by Nana and Grampa and treat ourselves to a child-free evening out at the Red House or catch a flick at The Screening Room and a growler from Stone City Ales.